Do the Unthinkable – Think!!! Our modern life is littered with clashing ideas and ideologies, with perspectives oft shifting dramatically with single events or thoughts. People are influenced by culture, race, geography, religion, science, and, to be thorough, ignorance. A single meme can inspire, trigger, change one’s world view. Yet at the heart of it all people just want a good life, to be happy and secure. There are simple formats for allowing one’s mind to consider diverse ideas without being pulled one way or the other prior to fully comprehending the vast framework within which this all sits. 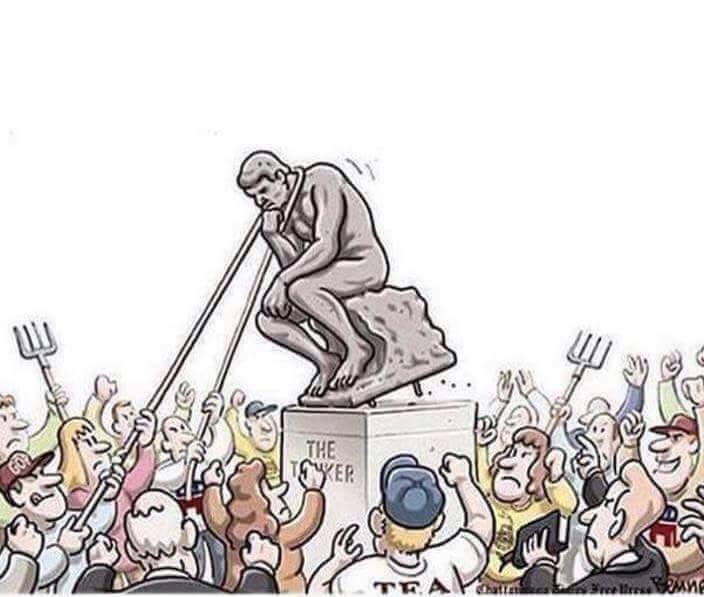 Anti-intellectualism is on the rise, where being banal and superficial allows one to meld homogeneously with the crowds. 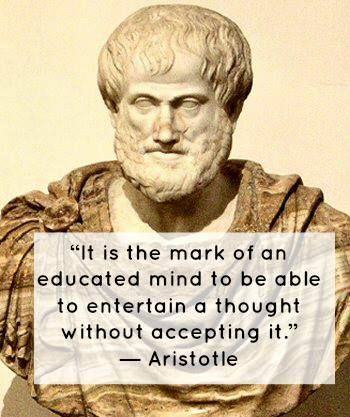 There is a definite, intentional dumbing down through schooling and media, where the fundamental tenets of culture such as the sciences and the arts are replaced by style and stupidity based on ego and impulse. Rather than conforming to the general decline in consciousness one may apply fundamental rules of thought to master one’s grasp of reality, find balance in the cacophony of sensory input our modern world spews forth, and cogitate one’s way forward into higher states of mind! In our modern society we constantly experience the clash of ideas and ideologies, distractions and diversions. People are so sure of themselves that they needlessly and thoughtlessly bring emotion into arguments, rather than just allowing cool-headed logic to assess facts and factors. People are so uncultured they act as though argumentation implies emotive response! And we won’t even bring up politics or religion! People are so enamored by their self-centered viewpoints that they are unable to comprehend that other perspectives may offer some validity, even if to properly understand a situation. Information is refused on the basis of source or difference from opinions held, regardless of its validity. Logical fallacies are taken as fact, allowing one to remain smug in their ignorance. “Conspiracy theory” is one such convenient tool to insulate oneself from the overwhelming truth which stretches far beyond the average human’s paradigm; a hypnotic command to stifle analytic and acquisitive functions of consciousness. Naturally there is hope, there is always a way forward. The answer is always at hand, even if we are unable to see it in our present state. Following are some insights and perspectives to allow your mind to expand naturally. 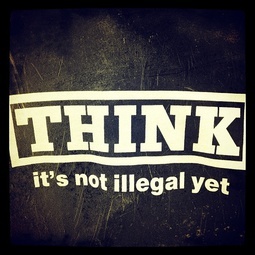 They are yours to use freely, there is no law against thinking… yet! The word “liberal” has many meanings today, but originally it simply meant free, as in liberated. The Liberal Arts were those which a free person required to be an active member of intelligent society. as applied through our five senses. However, these terms must be acknowledged in a much deeper sense than definitions implied by modern word usage. It’s my thesis that most people don’t really think, they just think they’re thinking because they’re watching their imprinted characterological reactions in real time. We have all been programmed genetically and mimetically since birth, run through indoctrination centers, it’s inevitable we all have a bit of this to one degree or another. These days more and more people appear to be programmed in the persistent use of logical fallacies to insulate themselves from anything beyond what their bio-structural imprints will allow them to process. Nonetheless, we can regain our inherent power by taking control of our own minds in precise fashion. 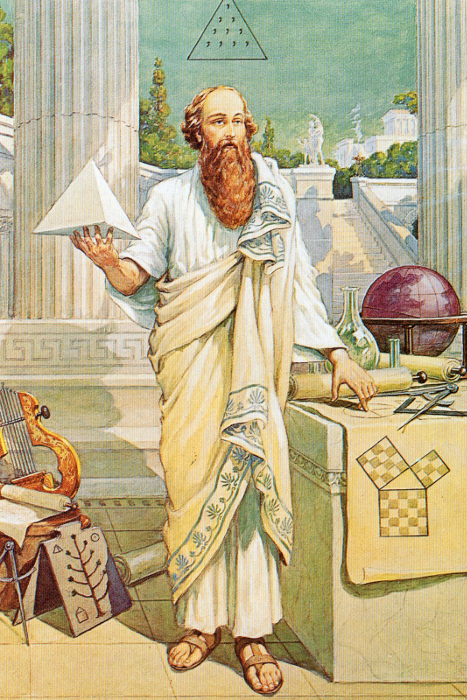 One esoteric symbol of the path of the ancient mystery schools is the 3,4,5 triangle theorem of Pythagoras, solvable with the non-linear square roots. This ancient theorem represents more than a mere math calculation. It was a metaphor for higher roots of knowledge beyond the apparent. And this linked it to the mystery schools where Pythagoras derived it from. This theorem was known in the first Babylonian Dynasty, some fifteen hundred years before the time of Pythagoras. 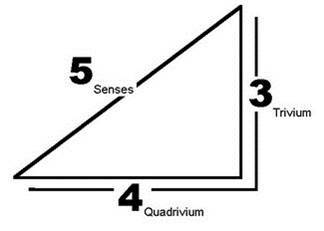 The deeper sense of the 3, 4, 5 triangle is of a relationship between our five senses and how we interpret the world through the Trivium and Quadrivium. The whole of spiritual attainment is available through this pathway. The Trivium is a process of systematic critical thinking utilized in freeing (liberating) oneself to analyze reality properly from the input of the Five Senses. Grammar is not only the mechanics of language, which is essential, but it is also the use of the language to define information and factual knowledge of objects we encounter in reality. Logic is the mechanics of processing the data gained through grammatical assessment of reality, removing contradictions through identification of false arguments and analysis of conflicting data, thereby gaining an understanding of the factual knowledge of reality. Rhetoric is the use of language to express the knowledge and understanding of reality, to transmit intelligence, to persuade people to a particular perspective. 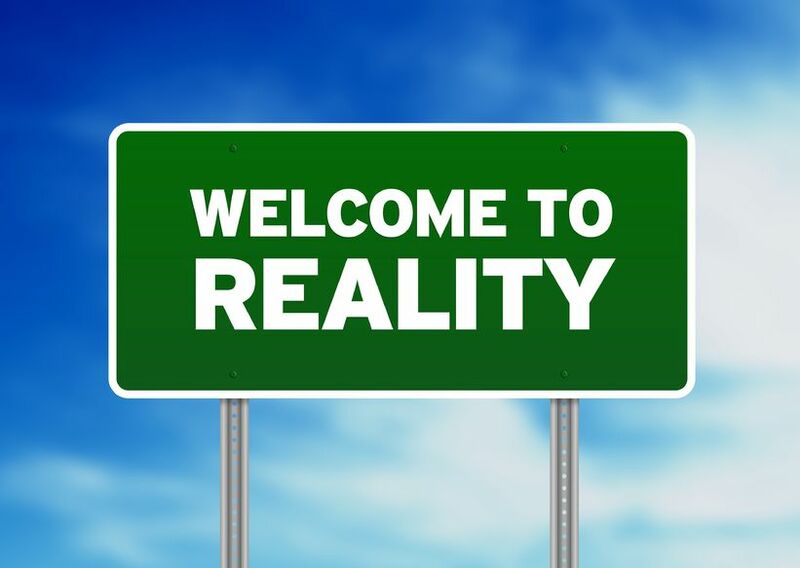 But what is objective reality? What is it that we seek to define? 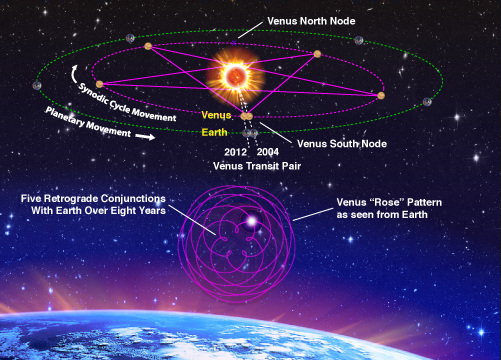 Astronomy – numbers in space and time. We must understand the ancient modes of consciousness to truly understand what is meant by these terms. For example Arithmetic is not merely the mechanical use of numbers, but also their qualitative aspects. 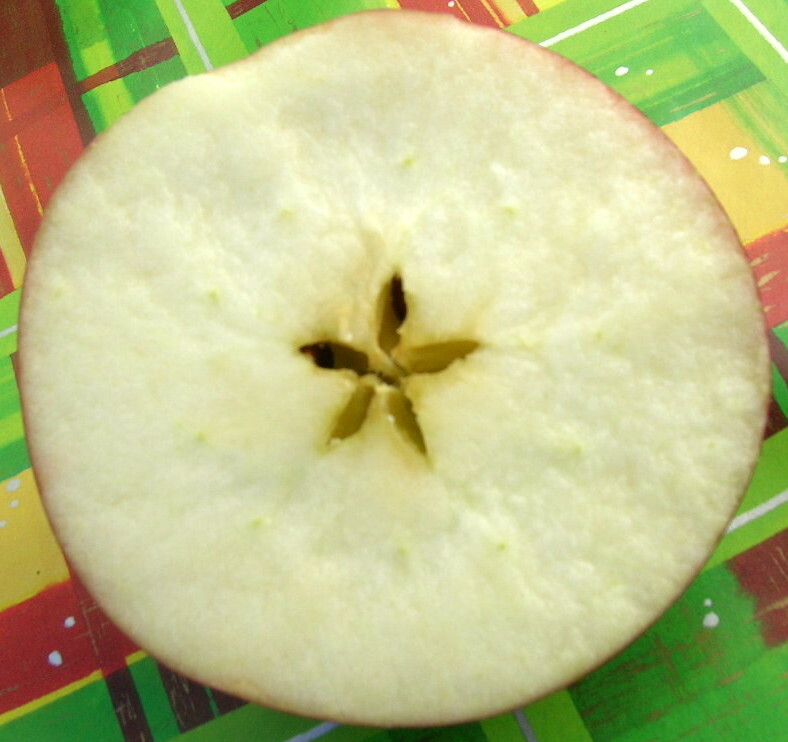 This pattern in the apple is seen as resonant or the “signature” of Venus, which is present throughout the rose family. This noble, higher sense of five includes the relationships of phi (Golden Ratio) and hence five is oft spelled in the Quadrivium as “Phive”. This is what is meant by the higher sense of numbers, and is just one amongst a multitude of examples. Quadrivium Geometry deals with subjects such as the Platonic Solids, those geometric solids with equal sides and faces, of which five only are able to exist in objective reality. Music, or harmonic analysis, is about numbers in time, the continuous in motion. In Geometry the Platonic solids can be nested so that zero space is left between. In Music the intervals do not fit perfectly. This gives rise to two modes of tuning, just intonation and equal temperament. 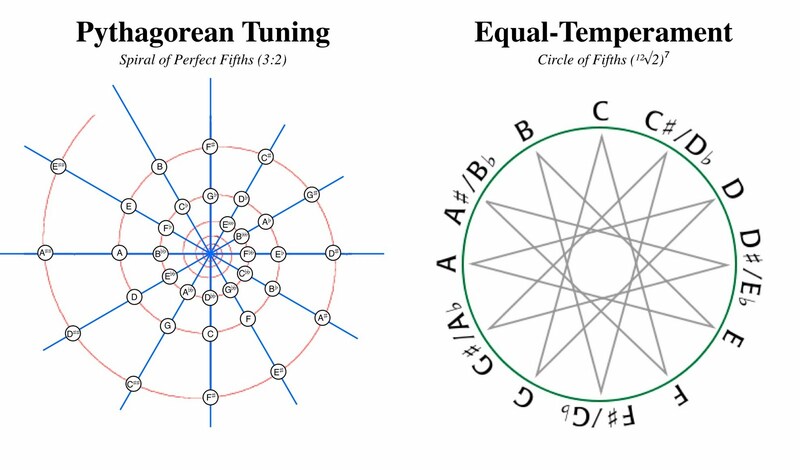 Just intonation, or natural harmonic progression, gives rise to a spiral, and equal temperament being developed for keyboard instruments so they could be played equally well (or badly, as tonally sensitive music lovers claim) while providing a fixed scale for all instruments. Presently the later is in common use. Astronomy is the natural science of the observation and notation of celestial objects. 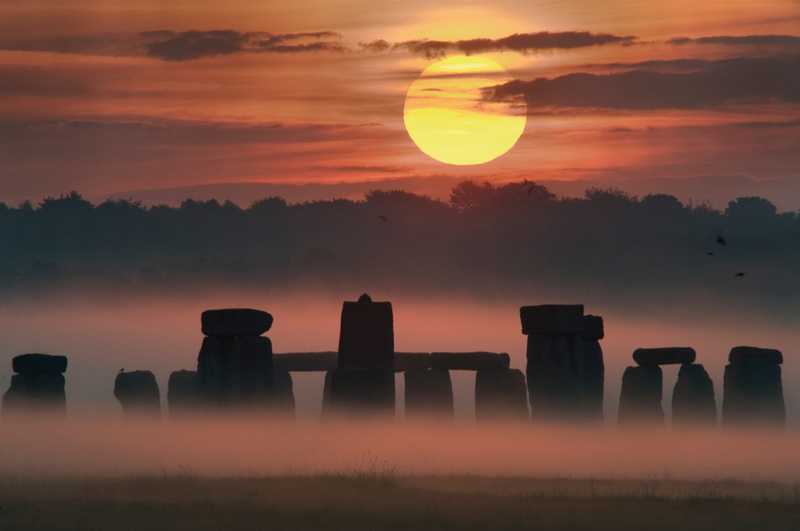 Clearly the ancients where quite up on this, seeing the field of archeo-astronomy gaining insights wherever ancient megalithic ruins are found around the world. Using our Five Senses we may, out of this whole process of the 7 Liberal Arts, reach the highest understandings of reality possible with our biological hardware and software. Perhaps we can even achieve a grand sense of cosmic orientation, for some even a spiritual proprioceptivity in the realm of knowledge instead of belief. Modern discursive consciousness, on the other hand, places an embedded status quo logic first, before proper grammar and is therefore, by the ancient codes, incapable of fully assessing reality properly … though the modern materialist will certainly argue they can by rejecting anything which cannot be weighed or measured. 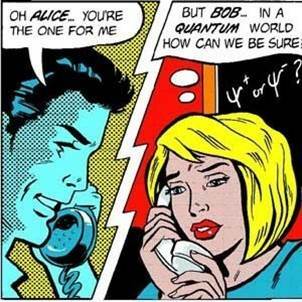 It is popular to think we live in a world of quantum uncertainty. But is this just a trap of materialism? This is not to discard the great triumphs which the scientific endeavors of the last few centuries have brought us, but rather to place them in a larger sense of being, one that takes life as the primary force of existence. Standard science holds that matter is the ground of reality and consciousness has arisen by pure chance from that. But this assumption is a violation of the Trivium. The modern scientific paradigm assumes that the electrical particles manufactured and manipulated in high energy experiments are the key components of our experiential reality. That is a belief system, and certainly one of arguable validity considering the mass of scientific knowledge gained (including the equipment used to write and read this article), yet one which is unable by its very nature to define the very life and consciousness which drives us to understand this manifestation we find ourselves immersed within. The electrical particles are subsensible, beneath our senses, and thus taken as a base of reality this approach is repugnant to true progress in natural science. Seeking the supersensible, that which is above the senses, is the true path of natural science, for we cannot rest on the laurels of the orthodox world if we seek to evolve intellectually and spiritually. It is our responsibility and duty as evolving souls inhabiting physical form to continue to learn about this universe we find ourselves immersed within. We own it to our children and to the generations that come after them to strive for a living, natural science. There are certainly a wide range of approaches to understanding, some based on definable facts, some on beliefs. This is a brief overview of just one path amongst many. 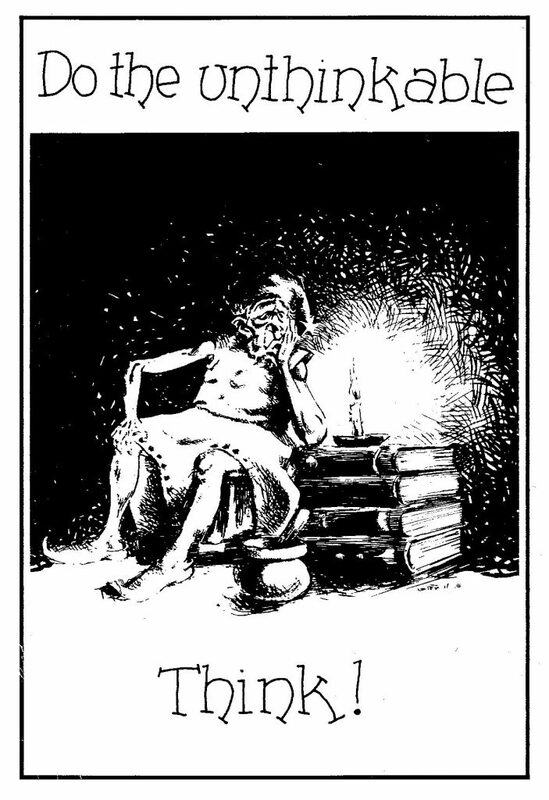 It is however with certainty that by learning and adhering to the techniques of the Seven Liberal Arts one may gain a superior knowledge of reality whilst perfecting their processes of thought and analysis.